I did--- Can I just post a sample of what I can churn out? Of course, I'll do whatever it takes to get you back. Curio will be lost without you! How about if it's Mako-san? Even Sayaka-chan and Suzu too! All of you are very important! Kanako-san? But, she's not one of our employees. I've heard enough... Yep, you're gonna stay a virgin through the rest of your life. What? How did it come to that! Man, what a drunk you are. 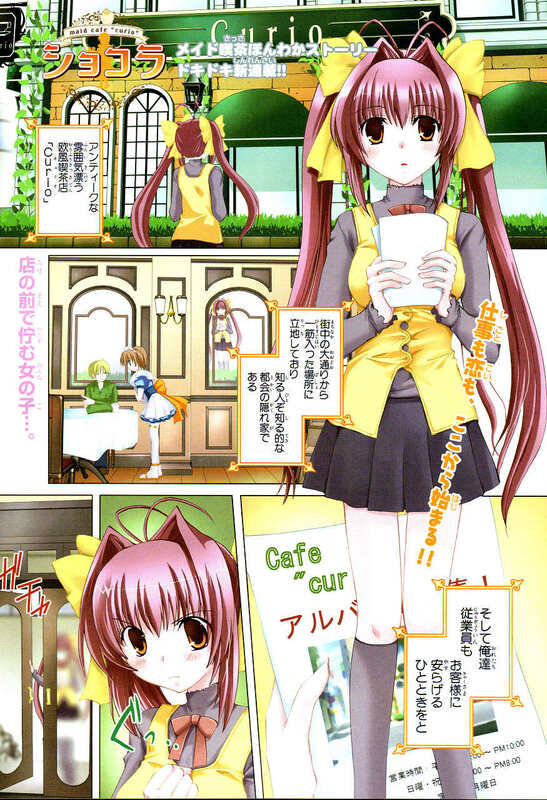 Chocolat ~Cafe Maid Curio~ is one of the earliest project proposals we had, but unfortunately the guy who was supposed to work on it disappeared. Glad to see someone interested in working with. I approve your application. I could help on this project right away, I guess. B-Werx wrote: the raws we have are in terrible condition. 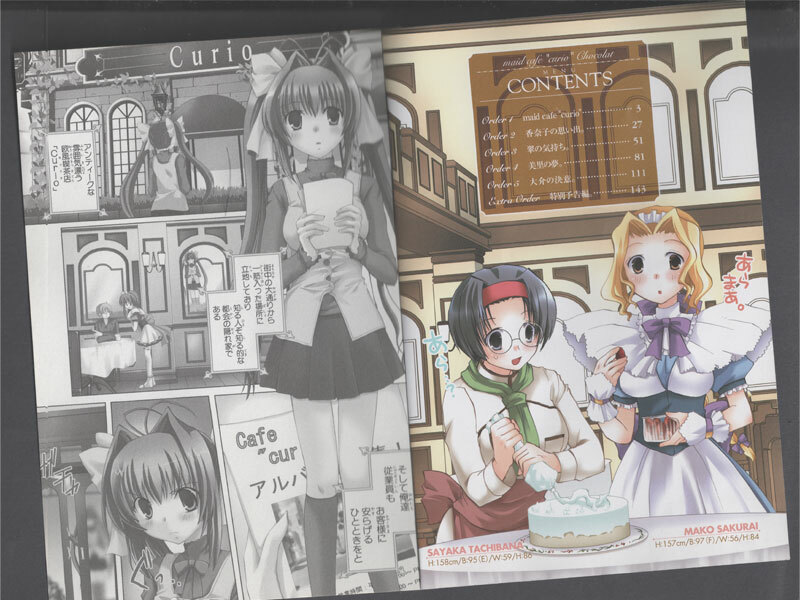 We are actually waiting for good Tankoubon scans of this series or a new image cleaning technology to be invented that will help enhance the grainy raws to make it a bit more readable (even I had trouble reading it). Is this the available raws you're talking about? 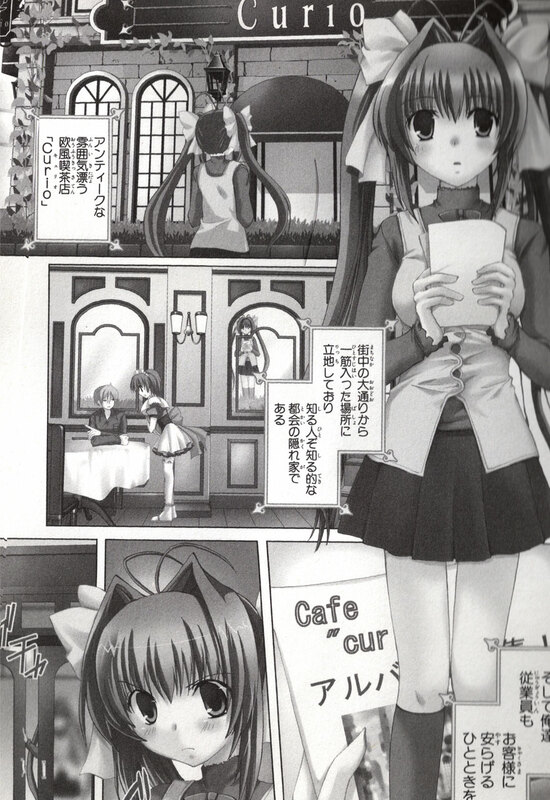 It has bit more detail (and color to boot) when compared to the book/ Tankoubon release, if you ask me. Forgive the quick and ugly cleaning. Hmmmm, so will you be willing to do other projects after this one or do you only want to do this manga? Anyway good to have a translator on board!! Yep, The early release version is the one we have, aside from the color page, the quality deteriorates on later chapters. If the image quality of the tankoubon image quality is consistent in all chapters, I say the tank scan is a better source. 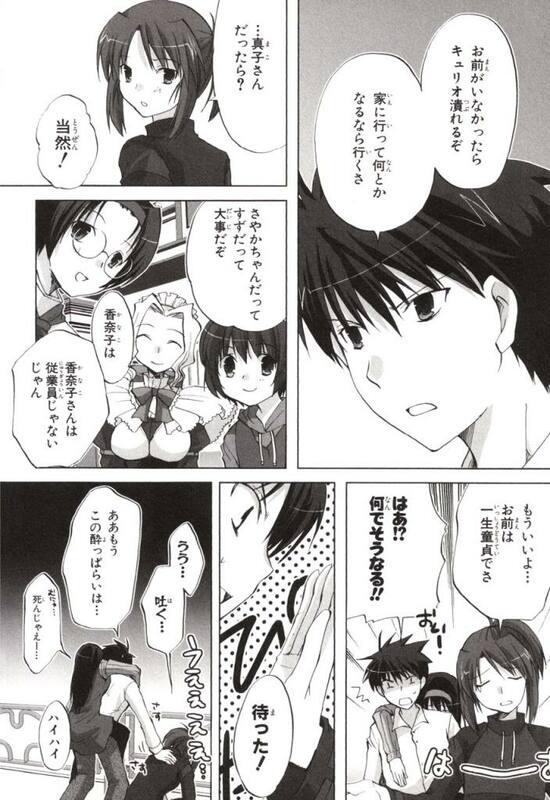 B-Werx wrote: If the image quality of the tankoubon image quality is consistent in all chapters, I say the tank scan is a better source. Can you work on something like this (resized for convenience)? woahevil1 wrote: so will you be willing to do other projects after this one or do you only want to do this manga? That really depends on what those projects are. I'm more of a whimsical translator that does series that catches my attention. For now, just assume that I'll only do this manga. We could talk again about things once this over. hmm~ If you like it so much that you're willing to help us put it into English, then I've definitely got to give it a shot! Here's what the untouched, original page looks like. Is the quality workable enough? If the raw is that huge, it's more than workable! Fairly ideal I should say. That there is a Hi-Res scan, a little cleaning and leveling, that grey matter custard will look like scans of the original manuscripts. haha, yeah i know XD but ideal would be without the cleaning and leveling haha, not that I'm complaining! There's only a handful of other stuck two-pages like the previous one (didn't risk ripping them apart by accident) but most of them are single sheets like first one I used for an example. So, are they good enough?